cute and clever, as always!!! This invite gave me a giANT smile! 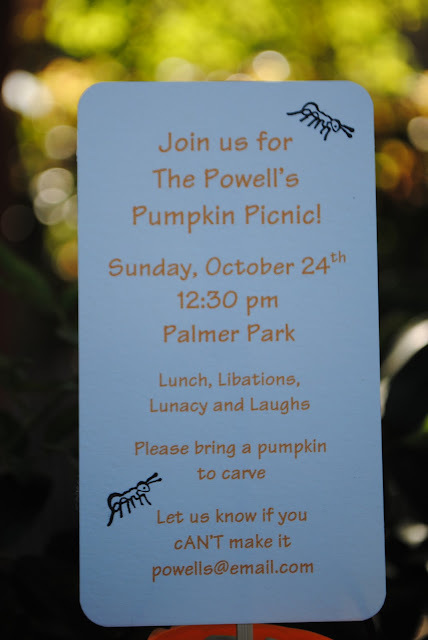 I bet all the guests are ANTicipating a fun time at the pumpkin picnic! 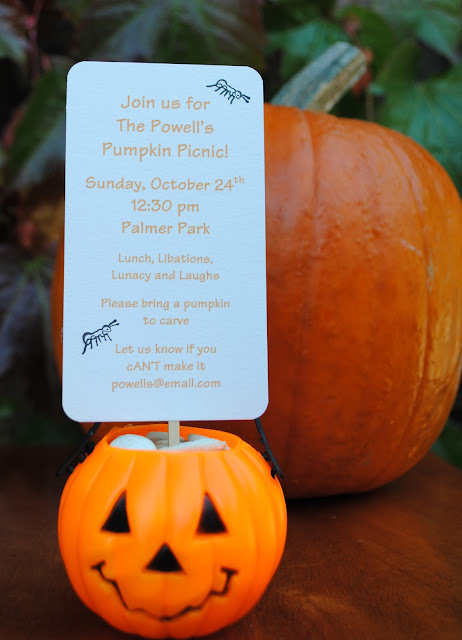 What a great idea for a party, and the invitation is so much fun! Can't wait to see the pictures of your picnic!!! So cute - I can't wait to see the rest!